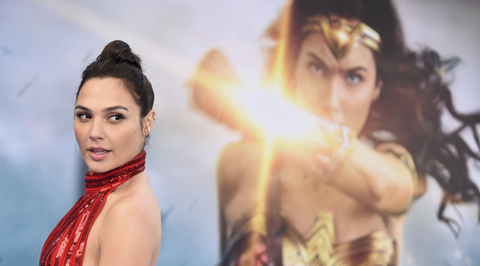 Lebanon has banned the screening of Hollywood blockbuster “Wonder Woman” because of its lead actress Gal Gadot, who served in the Israeli military, on the grounds of a long-standing boycott of the Jewish state. The decision sparked a social media frenzy, with some Lebanese mocking the authorities but others welcoming it as part of a campaign to isolate Israel. An official with Lebanon’s General Security told AFP the interior ministry has “decided to ban the screening of this film based on the recommendation of the Arab League’s Israel Boycott Office”. Lebanon and Israel are still technically in a state of war, and the Arab League maintains a Damascus-based office responsible for coordinating a regional boycott of the Jewish state. Lebanon’s economy and culture ministry, which oversees the boycott of Israeli products locally, recommended the film be banned after last year requesting the Arab League office issue a blanket ban on all the work of the 32-year-old actress. Gadot, who like most young Israelis did military service, made headlines in 2014 for a Facebook post defending the Jewish state’s blistering offensive in the Gaza Strip run by the Palestinian Islamist movement Hamas. “I am sending my love and prayers to my fellow Israeli citizens,” she wrote. “Especially to all the boys and girls who are risking their lives protecting my country against the horrific acts conducted by Hamas, who are hiding like cowards behind women and children.” The Lebanese ban has sparked a storm on social media, with some welcoming the decision which led to advertising posters for Wonder Woman across the capital vanishing overnight. “The campaign to boycott supporters of Israel in Lebanon has succeeded,” said the Arabic-language Facebook page of the Boycott, Divestment and Sanctions movement, which seeks to isolate Israel over its occupation of the Palestinian territories. But many in Lebanon mocked the decision as censorship or a waste of time, pointing out the film could be viewed online. “Liberating Palestine one movie at a time. #LiveLoveCensorship,” wrote the Stop Cultural Terrorism in Lebanon group, which promotes freedom of expression. Blogger Elie Fares accused the government of inconsistency, pointing out that several of Gadot’s movies have aired in Lebanon in past years. “In typical Lebanese fashion and because we definitely have our priorities in order, Lebanon’s government decided to rise up from its slumber and resist, even though the movie has been announced for over three years now,” he wrote on his “A Separate State of Mind” blog.